Some officials consider ordinances while others steer clear amid issues of fair competition, neighborhood disruptions and safety. A week’s stay at a beachfront cottage or lakeside cabin has long been a staple of vacationing in Maine, used by generations of visitors to the state. Now the sudden rise of home-sharing websites such as Airbnb, HomeAway and VRBO is allowing more people to market their private homes as vacation destinations. A quick online search turns up thousands of properties for rent in Maine’s top tourism destinations. But the practice has almost no state regulation, and towns and cities are under growing pressure to rein in short-term rentals. Full-time residents have complained about parking, noise and safety issues. Some people worry that investors will tap into the market and buy up homes with the sole intent of running an online rental business, leaving neighborhoods where full-time residents are a minority. The hotel industry, which is promoting regulation, complains that such rental properties are unfair competition. “It is definitely something that needs to be on the front burner,” said Kim Verreault, executive director of the Old Orchard Beach Chamber of Commerce, which has asked the town to look into the issue in the popular beach community. “It is an issue for us, period,” Verreault said. Online short-term rentals are a national hot-button issue, and cities across the U.S. are grappling with how to restrict or regulate the practice. Portland has tackled the issue by enforcing zoning rules that prohibit short-term rentals in much of the city and issuing violations to several operators. The City Council’s Housing Committee also intends to create rules for short-term rentals. Owners of rental properties say concerns are overblown. Online public reviews for hosts and guests help owners avoid people who might throw loud parties or break house rules. For some, renting online helps pay the mortgage for the dream home they want to move to after retirement. Services like Airbnb also offer guests an opportunity to engage with the local community and have a unique experience, compared with staying at a traditional hotel, rental owners argue. 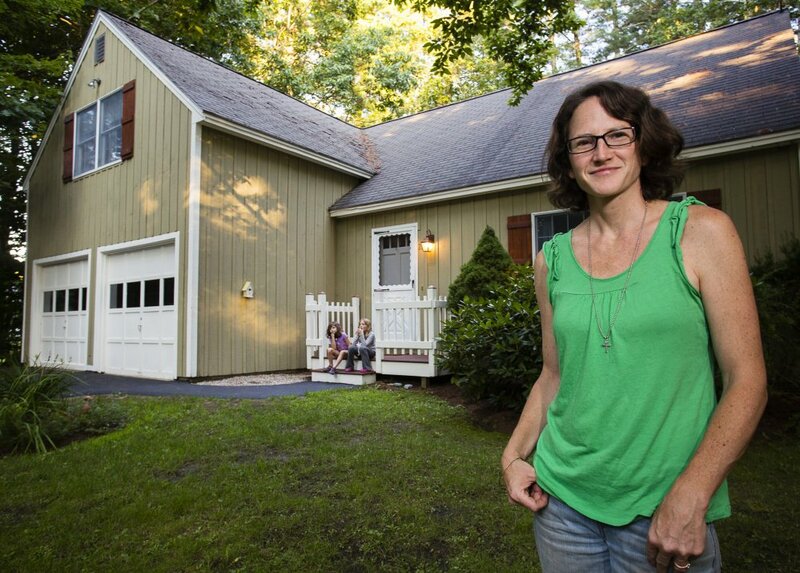 Linda Jarochym, who rents out her Ogunquit house to visitors in the summer, has heard complaints that rentals like hers hurt local hotels and inns, but she doesn’t buy it. Her renters are mostly families who want the comforts of home and to stay for at least a week, she said. State legislation to regulate such rentals has been proposed, but never made it out of committee. Last year, dozens of property owners testified against a bill to require short-term rental licensing. The lodging industry has since turned to local authorities, said Greg Dugal, president of the Maine Innkeepers Association. Unregulated short-term rentals don’t have to get the same permits or insurance as hotels and inns, he said. That means they can advertise discounted lodging and undercut bigger lodging businesses. “You are not going to make them adhere to the same standards as large hotels, but they do need to have some standards,” Dugal said. Justin Ford, vice president of the Vacation Rental Professionals of Maine, said his organization isn’t opposed to local regulations, as long as they are not too restrictive. In 2015, vacation rentals brought in $205 million in gross sales and $16 million in lodging taxes to the state, Ford said. His major concern is that people renting their properties online don’t take basic life safety precautions such as smoke and carbon monoxide alarms, or routes for escaping a burning building. With the rapidly growing numbers of short-term rentals, the chances of a tragedy like the fatal 2014 Noyes Street fire in Portland are multiplying, he warned. “It is a ticking time bomb. What happened in Portland is going to happen in (a) vacation rental,” Ford said. Requiring property owners to have insurance for a commercial operation would alleviate that issue, he said. Airbnb offers host insurance for up to $1 million in liability through its website. With so many issues at play, state policy, rather than local regulation, is the smart approach for short-term rentals, said Matt Kiessling, a vice president at the Travel Technology Association, an industry group that represents online platforms. If municipalities impose their own rules, “what you are winding up with is a patchwork of regulations that makes it very difficult for everyone involved,” he said. Ogunquit, a bustling beach community in York County, is one of the towns and cities tackling the online rental market. This summer, a town office intern has compiled a database of online rentals by matching rental locations to tax maps and exterior photos posted online to houses in town. Ogunquit allows short-term rentals, but requires a weeklong minimum stay, business registration, and safety code compliance, said Code Enforcement Officer Scott Heyland. Through its sleuthing, the town found 173 properties advertised for rent and 44 have registered with the town, Heyland said. He is preparing a letter to property owners listing short-term rental rules. Next year, the town will likely propose a rental-specific ordinance. Officials in neighboring Wells, however, said they don’t intend to regulate online rentals because the town doesn’t have the manpower for enforcement. “We’re a tourist economy. People are going to make their money one way or another,” said Town Manager Jonathan Carter. The town office in Bethel, a popular ski resort destination, has received no complaints about short-term rentals and doesn’t intend to impose restrictions. “There’s no regulation, and we don’t have zoning in Bethel,” said Town Manager Christine Landes. But York, just south of Ogunquit, is preparing to address the issue head-on after receiving complaints about parking, noise and unruly parties, said Town Manager Stephen Burns. The issue is also roiling communities in midcoast Maine. In April, the Rockland City Council adopted a six-page short-term rental ordinance after more than a year of debate. The ordinance lists three tiers of rentals, and all owners are required to show proof of insurance, get Planning Board approval, live in Rockland or have a property manager in a surrounding town, conform to safety standards, register annually, maintain rental transaction records and post a notice on their property with the contact and permit information. Some properties will need fire department inspections and may need to install sprinkler systems. Owners have until the end of October to register with the city. Rockland Code Enforcement Officer John Root said the issue came to a head because he couldn’t handle the number of properties out of compliance with local codes. There are also concerns that absentee investors could buy properties to rent online. That amounts to operating a commercial enterprise in a residential area and reduces available housing for year-round rentals, Root said. “Some people say, ‘I am renting it out to offset my property tax,’ ” Root said. “When people are buying houses simply to rent out, that is not a viable excuse. A short drive northward in Camden, an innkeepers association pushed the town to enforce rules about renting one or two bedrooms in an owner-occupied home. Ted Weiss, who owns the Hawthorne Inn in Camden, said he and other bed and breakfast operators have noticed a downturn in business at the same time Airbnb and other sites have grown in popularity. This year, he started tracking properties posted online and finding out which ones he thought violated the town’s ordinances – for example, because they were lodging more guests than allowed. He identified 11 noncompliant properties, but until recently had a hard time getting the town’s code office to respond, Weiss said. “The ones that are renting out a couple rooms for less than seven days at a time are direct competitors to us,” Weiss said. Based on their online booking calendars, some of the properties have better occupancy rates than his own business. “It is clear (that) damage is being done,” he said. But for all communities, enforcing a rapidly growing, and otherwise unregulated, short-term rental market is a difficult task. Bar Harbor, one of the Maine’s best-known destinations, passed regulations on short-term rentals more than a decade ago and updated the rules in 2010. The town requires units rented out for fewer than 30 days to be registered with the town and inspected by the fire department. Code Enforcement Officer Angela Chamberlain said the town gets 20 to 25 new applications a year, but admits some fly under the radar. “Absolutely, I can look on Airbnb and see ones that were never permitted,” she said.